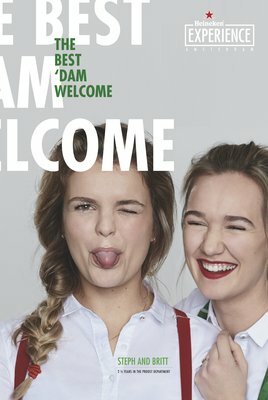 WE ARE Pi creates “best ‘Dam welcome”, inspiring visitors to make Heineken Experience the first stop on their trip to Amsterdam. The staff are at the forefront of making the Heineken Experience such a fun and informative brand experience The employees are the perfect ambassadors for the Heineken Experience; they love, live and breathe the brand, going out of their way to ensure a memorable visit for all guests, and therefore represent the perfect encapsulation of the brand’s energy and emotion to portray in the advertising campaign. 2016 saw the attraction break the 1 million visitor barrier in a calendar year, and 2017 sees ambitions rise even higher. 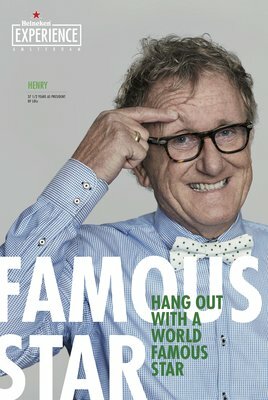 WE ARE Pi wanted to focus on helping position Heineken Experience as the warmest welcome that Amsterdam has to offer. 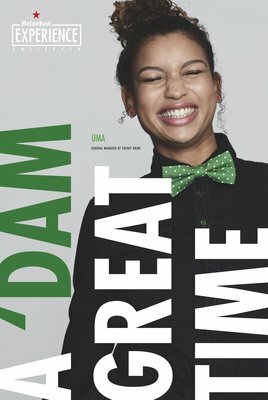 The Heineken Experience genuinely represents a real taste of modern Amsterdam life, perfectly encapsulated in the advertising by using the attractions real employees, having fun and enjoying the moment. 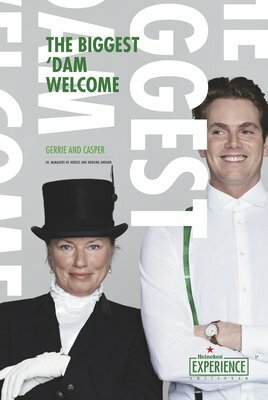 AMSTERDAM, The Netherlands -- (February 16th 2017) - Today sees the launch of the “best ‘Dam welcome” Outdoor campaign for Spring 2017, introducing tourists across the world to the famously warm welcome of the Heineken Experience and it’s staff. Heineken Experience is a place where people can not only learn about the rich heritage of the Heineken® brand, but also get a rich, interactive, experience of the modern brand as it strides boldly into the future. The staff are at the forefront of making the Heineken Experience such a fun and informative brand experience The employees are the perfect ambassadors for the Heineken Experience; they love, live and breathe the brand, going out of their way to ensure a memorable visit for all guests, and therefore represent the perfect encapsulation of the brand’s energy and emotion to portray in the advertising campaign. 2016 saw the attraction break the 1 million visitor barrier in a calendar year, and 2017 sees ambitions rise even higher. WE ARE Pi wanted to focus on helping position Heineken Experience as the warmest welcome that Amsterdam has to offer. 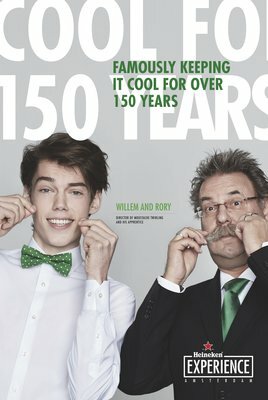 The Heineken Experience genuinely represents a real taste of modern Amsterdam life, perfectly encapsulated in the advertising by using the attractions real employees, having fun and enjoying the moment. The strategy, brand design refresh and campaign was conceived by Heineken Experience creative partner, WE ARE Pi, and was inspired by the authentic and transparent nature of the attraction and it’s people. The branding and design refresh are brought to life in outdoor 48 and 6 sheets that will run globally, bringing the warm welcome experienced when you visit the attraction and city. The campaign will run on airport and city center poster sites throughout the world, from; Rio, London, New York to Amsterdam as of February 20th.